Nigerian American designer Oluwaseyi Sosanya, a graduate from Royal College of Art (RCA), has created an amazing machine that can weave yarn in three dimensions. The loom weaves “interconnected layers of straight warp threads and intertwining weft patterns at different heights”, providing the 3D. 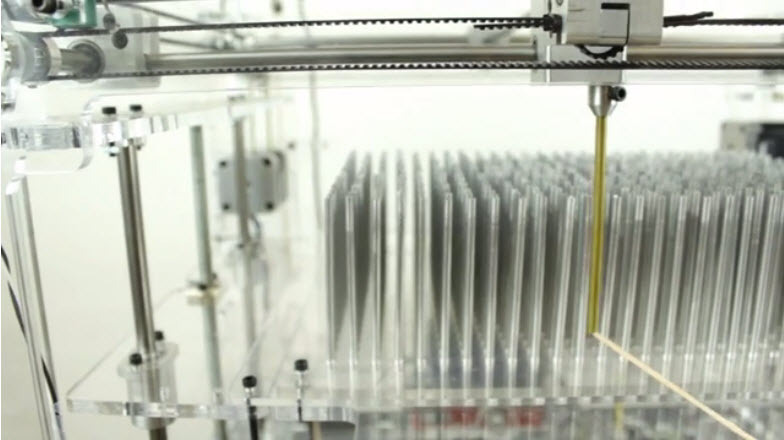 The machine works like a 3D printer and was used to create a shoe sole, presented at the RCA’s annual degree show as Sosanya’s graduate project. 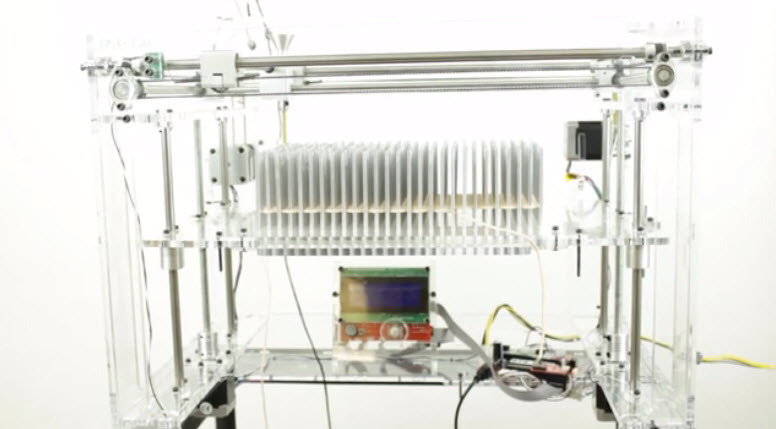 The loom is still a prototype, but it is easy to imagine its potentials for architecture, fashion and product design. 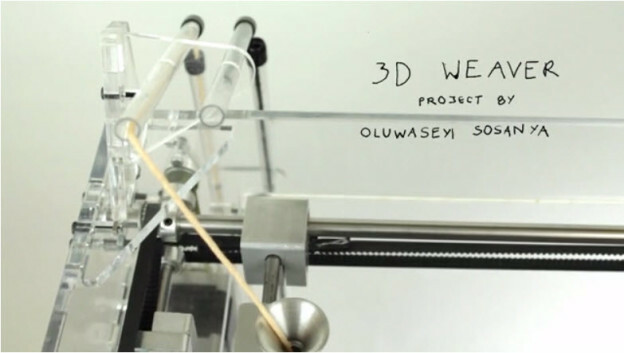 3D WEAVER from Zuzanna Weiss on Vimeo. 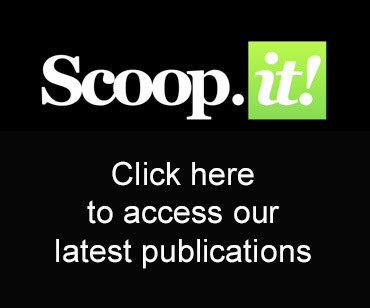 Share the post "Digital Loom Waves in 3D"